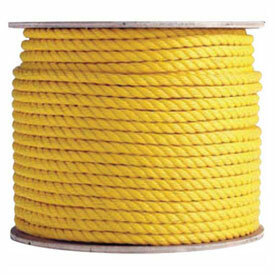 Polypropylene rope is an extremely economical rope that is strong and lightweight. Polypropylene can be stored wet and is resistant to mildew, most chemicals, and marine organisms. To make your rope work better for you, consider ordering an eye splice to create a safe loop at the end of your rope.